Should I buy or rent? This is quite rightly the lead question any Port Saint Lucie home buyer needs to answer. It’s not one that many Port Saint Lucie residents who are already home owners spend a lot of time on since the answer for their own family has already been a “yes.” For them, unless some major changes have come to pass, they can safely assume that homeownership is still a no-brainer. How do I get started? There are two good answers here: Get a mortgage pre-approval, and/or tap the services of a great Port Saint Lucie Realtor®. Although a lender’s pre-approval isn’t a requirement, getting a green light in advance can’t help but create a positive atmosphere with sellers and their representatives. It demonstrates serious intent—and in a competitive situation could even wind up winning the day. What’s the right credit score to buy a house? 620-650. Okay, okay—I know there’s actually no number that’s truly the “right” credit score for all circumstances. It depends on so many possible outside factors that the exceptions are too numerous to list. That 620 number (and higher) does seem to be one that lenders like to see; with 580 the common minimum low down payment FHA qualifier…but that can even be less in order to qualify for the FHA 10% down payment program. The only bullet-proof answer for the “right” credit score is—the best one you can build! How much will the down payment be? This one depends on the Port Saint Lucie property you choose, the home loan you select—and also, to a degree, on how much you want to pay. It used to be common sense that you should pay as much as you can afford in order to minimize the amount of interest you wind up paying over the life of the home loan. But with interest rates as low as they are today, some financial gurus are less confident about that advice: there may be more lucrative ways cash can be put to work. How much do I have to pay my agent? Nothing. The buyer’s agent fee is paid by the seller. Check out this beautiful home in PGA Village, features 4 bedrooms, 4 baths, den plus bonus room! Gorgeous and updated Majestic III model in prestigious Port St. Lucie PGA Village Golf & Country Club a non-equity club community!!! Home features four bedrooms including mother-in law guest suite, four full baths, den/office plus 15×18 spacious bonus room. Large lanai with pool overlooking golf course. 2015 improvements B5 ton Trane HVAC system, plantation shutters, Pool pump, pool heater, bathroom renovations, cabinets, countertops, hardware, lighting and sinks. 2013 improvements, bedroom carpets, wood floor in office, ceiling fans, outdoor lighting and dining, entry. Kitchen appliances Electrolux double oven, LG dishwasher, Samsung microwave, Samsung refrigerator, LG electric stove. Real Estate Professionals….We’ll take great care of your referrals! Port St Lucie 55 Plus Home located in Cascades community. Home features magnificent home on beautiful private preserve lot cul-de-sac location. Home is fully upgraded with plantation shutters throughout including bathrooms, 2013 stainless steel appliances, 2012 a/c unit 3.5 tons, diagonal neutral color ceramic tile throughout except carpet in bedrooms. Sliding door in master bedroom overlooking large covered patio, accordion hurricane shutters throughout including sliders. Total roof coverage including extended patio with brick pavers, cable & telephone outlet with additional 3 feet around the outside, professionally landscaped, painted outside & inside garage including floor in 2010 and much more! Home is ready for quick move-in!!! Click here to see additional images of this beautiful home! 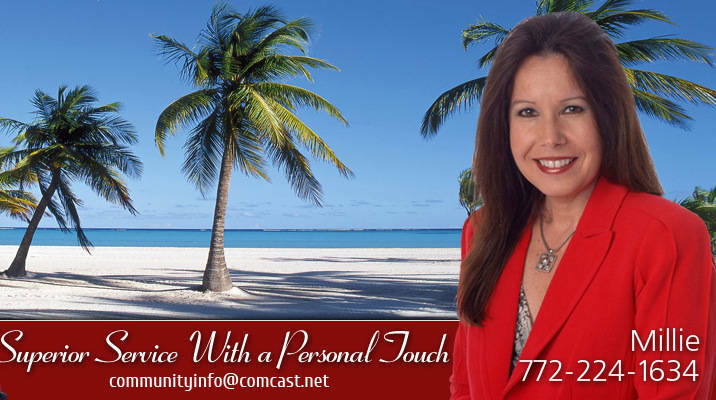 Cascades is a premier 55 Plus retirement community located in Port St. Lucie Florida. Offering great amenities for an active and healthy lifestyle. The average home is about 1855 square feet. Homes in CASCADES were built between 2001 and 2007. The smallest homes in CASCADES is “The Gorham” offers two bedrooms, while the larger floor plans have a three bedroom or two bedrooms plus den. Homes feature open floor plan with spacious kitchen, dining area, large master bedrooms. All homes have two car garage, covered patio, entry, upgraded concrete Spanish roof tile, city water and sewer system, energy efficient natural gas, 24 hour manning of guardhouse, monitoring alarm system, basic cable television service. Some homes have offer screened lanai and cover patio. Homes offer panoramic views of the preserve, lake or privacy wall of CASCADES 55-Plus community.